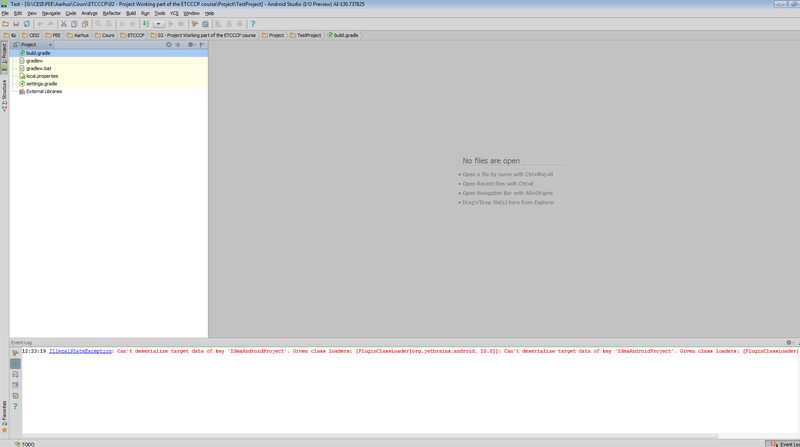 I want to start Android developpement, I used Eclipse with the usual plugin before, but I want to try another. I thought it was the same than here but it's not, so I'm really confused because they said that their soft is based on Intellij IDEA. It's better? By the way, I will try to install your own soft version 132.425. I'm installing it right now. But, it's better or not? Which one is the best for android application? As for not seeing your directories, can you provide more information and a screenshot. In particular, as screenshot of the project tool window. And as for the EAP ("soft" version as you call it), that version will be have more features than the current v12 release. But it is beta and so may be a bit unstable. I do not know how changes between Android Studio and IntelliJ IDEA are done, so I'll defer to the JetBrains developers to answer how an EAP build compares to an Android Studio release. I installed the Intellij IDEA and it works well. I'll read your links, thanks. 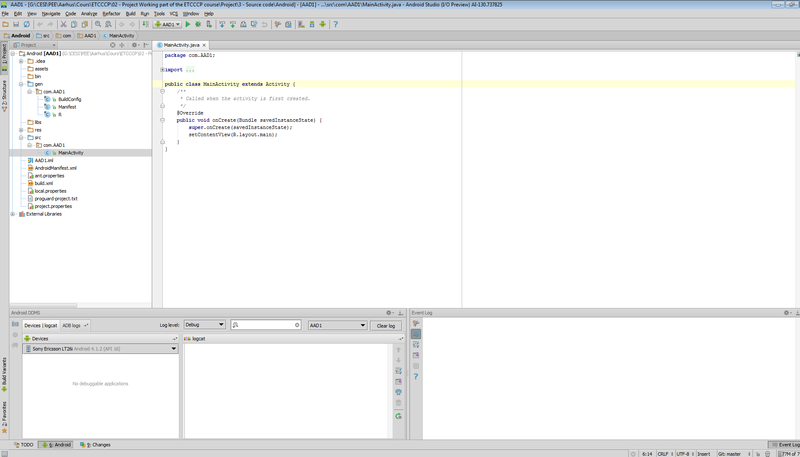 I opened just now the project created by Intellij IDEA with Android Studio and it works! Edit: Gradle files, I don't know these, but it's pretty weird. When I load an existing project created by IntelliJ IDEA. It works. I can run the code on my phone. When I create a new project, selecting all the basics choices.